Maintaining and communicating accurate and current documentation of student records. The proper selection of courses is important for every NKU student. Therefore, all students are encouraged to meet with their academic advisor prior to registration each term. Some students are required to meet with their academic advisor prior to registration. All degree-seeking undeclared and University Studies students assigned to Norse Advising (http://advising.nku.edu) are required to meet with their advisor before registering for classes each semester. All non-degree students on probation are also required to meet with an advisor prior to registering for classes. Norse Advising provides a range of academic advising services, ranging from answering general questions for all students on a walk-in basis to development of academic plans for undeclared students, all University Studies students, and some students interested in but not yet admitted to one of the programs in NKU’s College of Health Professions. Norse Advising also administers the Pathfinders Program and Project Graduate program, and assists with advising of students in Integrative Studies and Chase 3+3. Non-degree-seeking students may also request to meet with a Norse advisor. Norse advisors help students make well informed, timely decisions about programs of study and promote academic success. NKU’s Office of Information Technology is committed to supporting student success. IT provides a variety of services. All students are urged to visit the student page of the IT website (http://it.nku.edu/students.html) to learn about services and view guides that answer common IT-related questions. Blackboard is NKU’s online learning management system. Faculty often post course syllabi, assignments, reading material and other course-related materials on Blackboard for student access. Students are often expected to submit course assignments via Blackboard. To learn about Blackboard, visit the website (http://it.nku.edu/students.html). Blackboard also offers a free app available for Apple and Android. IT provides computer labs in buildings across campus. A listing of IT lab locations is available online (http://it.nku.edu/svccatalog/labsprinting/labs.html). Many academic departments offer additional computer labs for their students. Also, students may access software licensed by the university via the “virtual lab” which is essentially a lab computer you can log into when you are off campus via your personal computer or tablet. Vendors offer discounts to students, so those who are buying Dell or Apple computers are eligible for a student discount. More information and links to the vendors’ websites to make purchases are available online (http://it.nku.edu/students/minimumconfigurations.html). Each student at NKU is provided an email account that belongs to the student for life. All official communication from the University is directed to this email address. IT will assist students in setting up mobile devices to access their email in person at the Norse Tech Bar, University Center 252, or by contacting our IT Help Desk (http://it.nku.edu/help.html). Also, connected to the email account is a free cloud storage option called OneDrive. Storage on this drive is unlimited as long as you are a student. Students have two options for technology assistance. If on campus during normal business hours, students are urged to visit the Norse Tech Bar in University Center 252. Students may also contact the IT Help Desk via phone 859-572-6911, instant message or online service request (http://it.nku.edu/help.html). An NKU user name and password are generated and provided to new students in their acceptance letters. This username and password are required to access many online services at NKU. As a security measure, NKU passwords must be changed at least every 90 days. To activate your NKU user ID, change your NKU user account password or reset your password, visit the website (https://password.nku.edu). Located in University Center 252, the Norse Tech Bar is the student destination for technology. Go there for answers to all of your technology questions as well as software and hardware troubleshooting. We also offer lab computers with printers, computer/tablet/camera checkout and LCD screens for group work. Visit the website (http://techbar.nku.edu) for more information and hours, and follow us on Twitter for the latest news@nkutechbar. Each semester, full-time students are credited a $12 print allowance. Beyond that allowance, students can add money to their All Card (http://allcard.nku.edu) for additional printing. More information is available online (http://it.nku.edu/svccatalog/labsprinting/payforprint.html). Students have access to download free software such as Microsoft Office. For more information, visit the website (http://it.nku.edu/svccatalog/software/softwarecatalog.html). IT offers online tutorials on a variety of technology topics, such as Blackboard and Microsoft products. Tutorials and training resources are available online (http://it.nku.edu/svccatalog/software/softwarecatalog.html). IT also offers training to help students with the registration process. Tutorials and training resources about myNKU, the registration system, are available online (http://mynkuhelp.nku.edu). 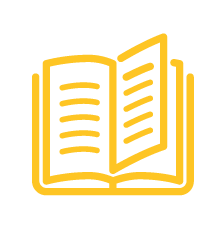 To ensure that NKU’s technology resources are secure, responsibly utilized, and available to everyone, the University has established policies that must be followed by all users of NKU’s technology resources. Illegal downloads of copyrighted materials and inappropriate use of technology resources is strictly forbidden. 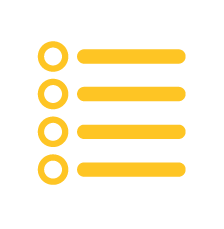 Policies are available online (http://it.nku.edu/aboutus/policies.html). NKU has wireless access throughout the campus. Depending on the purpose when connecting through Wi-Fi, students can select from the various NKU networks as described online (http://it.nku.edu/svccatalog/network/wireless.html). Learning PLUS provides a variety of services to support students’ academic achievement. The tutoring services assist students with specific classes and specific skills required for academic success. Learning PLUS tutoring services include PLUS Tutoring, the Writing Center, Success PLUS, and Supplemental Instruction. Learning PLUS also offers developmental education and coordinates the School-Based Scholars program. PLUS Tutoring provides FREE assistance and support for students who want or need to better understand the course content and materials of specific 100-, 200-, and some higher-level courses. 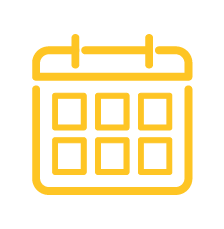 To learn more about the service and how to schedule an appointment, students should visit the website (http://plus.nku.edu/tutoring-programs/plus.html). The Writing Center provides FREE assistance and support for students with college writing tasks assigned in any course: essays, reports, research papers, etc. Writing Center consultants can guide and advise students through the entire writing process. To learn more about the service and how to schedule an appointment, students should visit the website (http://plus.nku.edu/tutoring-programs/wc.html). Success PLUS provides FREE, ongoing one-on-one peer assistance with many important college and life success skills, including time management, effective note-taking and studying practices, and test-taking strategies. To learn more about the service and how to schedule an appointment, students should visit the website (http://plus.nku.edu/tutoring-programs/success.html). Supplemental Instruction provides FREE collaborative peer review sessions for some sections of difficult and challenging courses. SI leaders attend all classes and conduct weekly review sessions to help students with mastering content as well as developing learning strategies that can be applied to other courses. Students are encouraged to attend review sessions often. For more information about SI, students should visit the website (http://plus.nku.edu/tutoring-programs/si.html). Sunday: 12:30 p.m. - 2:00 a.m. The W. Frank Steely Library, located in the center of campus and online, partners with many campus departments to support the academic achievement and success of NKU students. The library provides a variety of services and resources including wireless access, laptop checkout, a coffee shop, group study rooms, and computers with Internet access and Microsoft Office products. An eContent area provides computers with multimedia software such as Photoshop, Acrobat Professional, Dreamweaver, and InDesign. Other special services (http://steelylibrary.nku.edu/services.html) include research consultation (in person, by phone, by email, by chat, or by appointment); classroom instruction and embedded librarians via Blackboard courses; My Librarian and First-Year Experience services; web-based research guides and tutorials; SourceFinder (a document delivery service for obtaining materials not available at Steely Library); access to almost 200 databases, many with full-text documents; and a growing collection of electronic books. Steely Library is also a depository for many federal government publications. The Eva G. Farris Special Collections and Schlachter University Archives contain materials related to the history of NKU and materials documenting the history and heritage of the northern Kentucky region, the Ohio River valley, the Underground Railroad, Appalachian writers, and military history. Career Services provides programs and services that engage and empower students to establish academic and career goals, obtain co-ops and internships, secure meaningful employment, and manage their careers for rewarding, fulfilled lives. Career Services also operates as the principal point of contact and servicing unit for employers who wish to recruit students for co-ops, internships and full-time positions. The career services team is committed to providing excellent career-related programs, services, and resources. Visit the website or stop by for details (http://careerservices.nku.edu). The mission of Norse Advising is to advise and teach students skills that facilitate growth through exploration as they embark upon their educational careers at NKU. We help students navigate the university and make informed decisions while transitioning into majors and professional careers. Norse Advising serves as the primary advising center for undeclared students in University Studies and offers walk-in advising assistance to all NKU students. We also manage the Compass desk, where peer coaches provide quick answers to student questions. 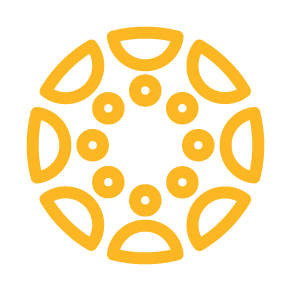 University Connect and Persist empowers students to create action plans, establish success networks, and implement techniques that promote persistence to graduation and lifelong learning. UCAP offers a Lending Library, Financial Fitness programming and consultation, and a last dollar SGA retention award. Any student with questions or concerns related to their NKU experience is welcome to stop in or make an appointment with a member of our team. UCAP likewise supports faculty and staff in their work with students through timely outreach once a student is referred to our office. University Connect and Persist empowers students for success! We help students develop success plans, build customized success networks, and get the most out of their NKU experience. In addition, UCAP engages the campus community in collaborative partnerships to facilitate student success and oversees the early referral process, while assisting students in creating and utilizing their success networks. SGA Retention Award is a one-time-only tuition assistance award that helps students who are struggling financially. Students schedule an appointment with a UCAP coordinator to discuss eligibility criteria and the application process. The Veterans Resource Station offers individual computer and Internet access that includes a welcoming, open space to study, socialize, borrow books, and connect with other veterans. VRS student peer mentors are veterans or family members of veterans who provide information, referrals, and support to enable students to successfully navigate and connect with the right resources. NKU’s student organization for veterans, Norse VETS (https://www.facebook.com/nkuvets), provides a social group and support structure to help veterans adjust to and become successful in civilian life. The Veterans Resource Station acts as a resource library for a broad range of services and benefits provided by the Kentucky and U.S. Department of Veterans Affairs and other community activities.